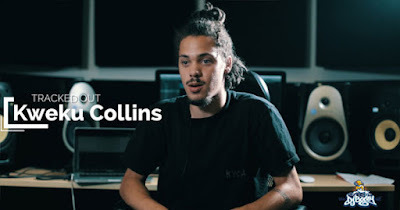 Kweku Collins Breaks Down His Process In the Studio, Creates "Life Part 2"
What makes Kweku Collins creativity pop? Well recently he sat with DJBooth to tell fans how he gets in the mood to craft a song. Part of Tunedcore presented 'Tracked Out' series, where they get artist in the Audiomack Studio to capture the magic that happens. For this installment Collins put together a track titled "Life Part 2", which you can watch below. You can hear this song and more on the "Top Prospects" EP, a project that focuses on the rising talents in music.